Our dear friend and Knitting Camper, Ann Swanson, was an amazing designer. 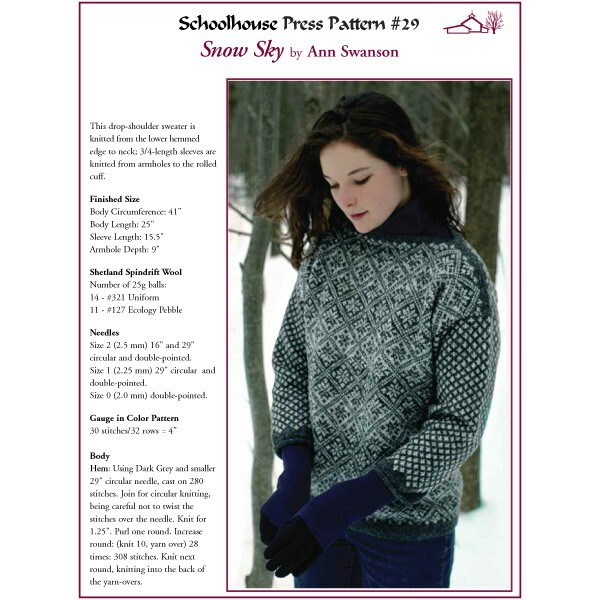 Her Snow Sky sweater was featured in the the book Sweaters From Camp (now out of print). A drop-shoulder sweater knitted from the lower hemmed edge to the neck, with 3/4 length sleeves worked from armholes to the rolled cuff. Knitted in our Shetland Spindrift wool.